It has been tough fishing the last few days compared to last week when we were catching up to 16 or more stripers per trip with many of them nice size keepers. 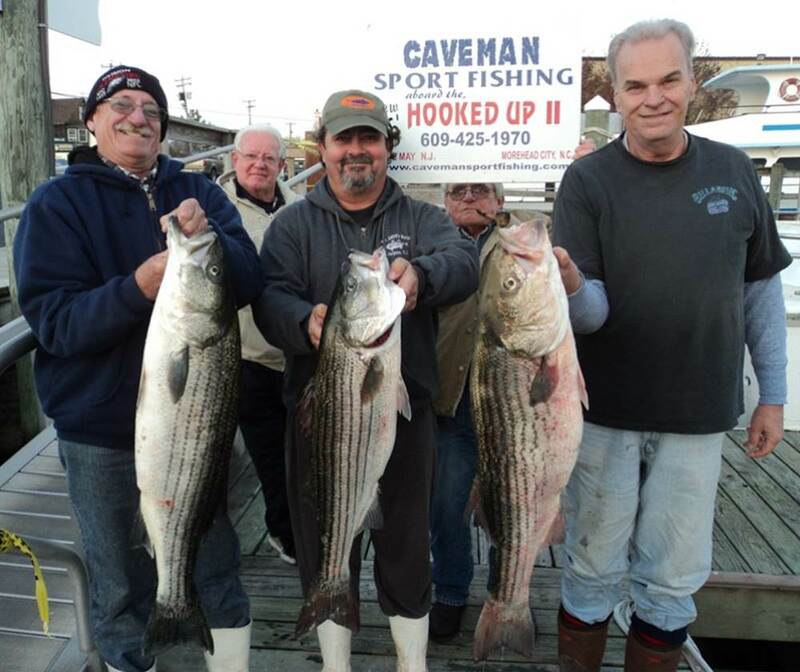 All have been caught on the troll the last few weeks which is something we never anticipated we would be doing after last fall outstanding chunk bite on the Hooked Up II fishing exclusively on the Delaware Bay. Overall the last few days have produced some decent size stripers but we have also caught our share of shorts but you do not get to pick the size of the fish you catch. .
On one recent trip we boated 8 stripers trolling up the beach to the north and then ran to the rips and tried fishing with live bait and bucktails but never had a bite fishing the incoming tide. The last two trips we have we have been fishing numerous lumps and hills and have been picking up a fish here and there as there has not been any one location that we have fished that has produced as consistently on larger fish as we would have liked. At the present time this is the way it has been for us the last 3 trips and we would have liked a few more keepers but we were glad we caught what we did considering how the striper fishing has slowed down from a week or so. 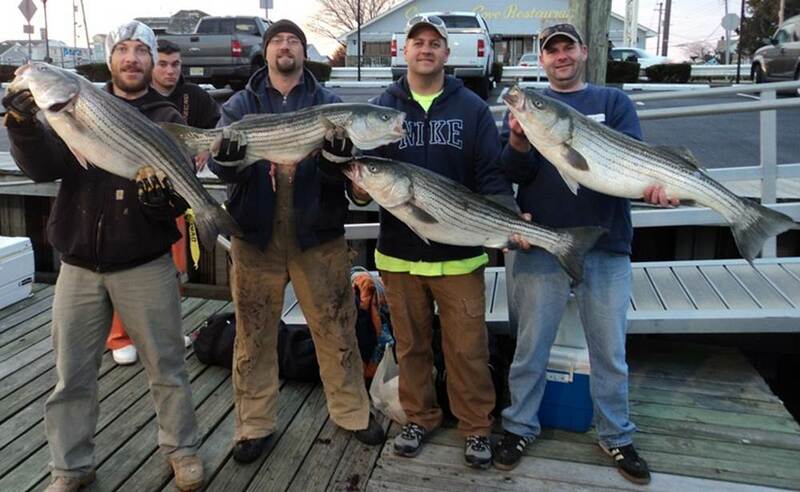 We are all hoping we see more of the larger size stripers show up along the South Jersey Coast or move into the Delaware Bay in the next few days. On todays trip we had 14 stripers and 3 keepers and on Sunday’s trip we had 11 stripers and 4 keepers. The previous trip we had 8 keepers but we only trolled until 10:30 am.